Plus expenses, mileage, training, books, "misc.," and retirement. Settled Out of Court, reputedly for at least $1,000,000.00. from coming out in court. SOS first warned about Wind Turbine Syndrome in 2009. The Wiltzers sued Heritage Sustainable to turn off the turbines within a one-mile radius. They (or anyone else) couldn't live in their home because of the extreme infrasound (low frequency sound). Experts, including Rick James, who came to measure and spent the night there, said it was one of the worst they had ever encountered. Marty Lagina, who owns Heritage Sustainable, offered the Wiltzer a buy-out, but they wanted their home back, so they rejected the first buy-out. SOS was told that the Wiltzers received a "good" settlement. That generally means Heritage paid fair market value for their home, paid their legal bills, gave them some moving costs, and perhaps gave them a cash settlement as well. Heritage does not have to shut down its turbines or admit wrong-doing. Most important, none of the evidence of WTS came out in court. This is why lawsuits against developers are almost always settled out of court for large amounts of money: to prevent a legal precedent. The Zeiglers, another family in McBain bothered by a different turbine, are luckier: they can't use their yard anymore and have had to put in air-conditioning and triple-pane windows because of the audible screams, squeeks, whines, groans, thumps, and other sounds. They do not yet, however, have WTS. The Wiltzers hired Susan Topp, the environmental attorney from Gaylord, Michigan, to represent them against Heritage Sustainable Energy. Sherman Township officers brought in "ringers" (dishonest speakers) to tell people turbines didn't make noise and there was no such thing as Wind Turbine Syndrome and, even if there were, it wouldn't be a problem. Many were farmers who signed leases with gag clauses, or their relatives, and they are required to say positive things about turbines. They were also paid by wind developers to attend meetings and harass and threaten people who spoke against wind development. Save Our Sherman paid both James and Topp to speak in Sherman, against township officers' wishes. Rick James was illegally denied use of the township hall. Susan Topp saw her 20 minutes speaking time during a Planning Commission meeting cut in half when she arrived after driving from Gaylord. Planning Commission Chair Moesta says he doesn't believe in "experts." WHO IS SAVE OUR SHERMAN? and others honest answers about wind development. At this site you will find information about the health effects of wind development, its effects on property values, and on wildlife. Many pages at this site have attachments with detailed information. We believe Sherman Township residents deserve complete information to make our own decisions about legislation that affects our lives. We believe Sherman Township officers are elected to represent the interests of all the people of Sherman. When a conflict occurs, we believe officers should follow the wishes of the majority, even if it denies the officers' future financial gain. SAVE OUR SHERMAN WELCOMES YOUR COMMENTS AND QUESTIONS. Paid for with regulated funds by Save Our Sherman, 15075 County Line Road, Tustin, Michigan 49688. Turbine fire in forested country like Sherman Township. A Michigan site, you will find excellent information about Proposal 3: 2025, trailers for two movies about the effect of turbine development on communities, and lots of other information. This site is worth a look. One of the best energy sites on the web, a blog dedicated to analysis and commentary about energy markets and public policy. This is a valuable clearinghouse for news and information on industrial wind turbines worldwide. John Droz, Jr., a retired physicist, has assembled a wealth of technical information about wind energy. Droz also gives a "Toolkit of Information"
must-read for anyone who is concerned about wind development. Droz's site also has dozens of links to other sites and reports. Another Michigan site, this one was begun by residents of Huron County, which currently has more turbines than any other county in Michigan. It gives good information on Michigan wind development, particularly Huron County. An international site with an excellent streaming news feed on industrial wind around the world. Save Our Sherman has spent countless hours over the past eight years attempting to compromise with township officials on wind development. Almost two years ago SOS brought in samples of Property Value Protection Agreements to add to the proposed zoning. Sherman officers refused to add a PVPA because, of course, wind developers hate them. Officers then threw a Hail Mary pass and sent the PVPA proposal to the Michigan Attorney General, who refused to rule and threw it back to them. Save Our Sherman then agreed with township officers’ suggestion to simply remove all mention of utility-grade wind zoning from the proposed zoning, which will NOT, everyone discovered, allow wind turbines everywhere and anywhere. The ONLY uses permitted in the zoning are those mentioned in the zoning. If there is no mention or listing, the use is not permitted. We consulted with our attorney many times on this, and our attorney is an expert on Michigan zoning law. She checked and rechecked the law to be sure. Apparently township officers thought they would slip a fast one over on SOS by removing the clause, and then discovered, to their dismay, that they had outlawed turbines. At that point, the amendments began. Well, they would agree to removing any mention of turbines, BUT, etc., etc. Once again, they tried TRICKY ZONING. Again! One would think they would finally understand it won’t wash.
Sherman officers have dithered about wind turbines since voters removed the last tricky zoning in 2012. They have spent our tax money to dither. A Third Referendum looks increasingly likely. And then a Fourth Referendum after that. Sherman officers know that the more votes they face, the more likely they are to win. And then development will follow and many people will be unhappy. Who will be to blame? Sherman Township residents who refused to elect new officers and who refuse to run for office. New Video from Sanilac County in Michigan's Thumb. as well as other problems they have created. Township officers still refuse to share their attorney's opinion on Property Value Protection Agreements. Apparently it said PVPAs were fine and would stop wind development. After the meeting, one of the Board members confronted Harvey Langworthy in the kitchen and screamed at him. Ah yes, that's Sherman's oh-so professional Board! If you don't like what you hear, scream at the person! and the Board's apparent dishonesty? because Eggle refuses to adopt one. against wind development because the Zoning Board of Appeals can overturn any "dimensional" provision. Not surprisingly, those are the ONLY anti-wind development provisions in the zoning. On September 15, Eggle closed the Board meeting to review his attorney's opinion on PVPAs. When he reopened it, he refused to disclose the attorney's opinion, or to report the discussion in the meeting. Taxpayers paid for the attorney's opinion, but we are not allowed to see it. Eggle is now sending the PVPA to the Michigan Attorney General for another opinion on PVPAs. If Eggle refuses to add a PVPA, he will face a Third Referendum. If Eggle adds a PVPA, it will stop wind development. is either pro-wind or can profit from wind development. for allowing turbine development on their lands. Eggle is now desperately searching for a way out. then he can argue that the current zoning must be adopted. This will ensure wind development for Sherman Township. and never be held responsible. "never put turbines on his granddaddy's farm." Honest answer: The Eggle Family owns nearly 2000 acres. His "granddaddy's farm" was about 100 acres. not who has the truth. In “High-Voltage Transmission Lines and Rural, Western Real Estate Values” published in The Appraisal Journal 2012, Dr. James A. Chalmers, qualified as an expert witness in over 20 states, found that residential properties near transmission lines sold for 20-50% less than comparable residential properties. Michael McCann, of McCann Appraisal, LLC based in Chicago, concludes that: “Residential property values are adversely and measurably impacted by close proximity of industrial-scale wind energy turbine projects to the residential properties,” up to 2 miles and a range of 25% to approximately 40% of value loss. According to research in 2014 by the London School of Economics, wind farms can cut as much as 12% off the value of homes within a 2 kilometer radius, reducing property vales as far as 14 kilometers away. In 2013, an Ontario Superior Court of Justice determined that landowners living near large wind farms do suffer from lower property values, with the court accepting a 22-55% reduction. see this long list documenting how wind power DOES reduce property values here." WHAT HAPPENS IF ZONING IS REPEALED AGAIN? WHY DOES EGGLE KEEP LYING TO THE PUBLIC? that the ZBA can't overturn to make wind friendly?" which would stop wind development. was stonewalled by township officers. voters must file FOIA requests. They are then charged hundreds of dollars in "expenses,"
what township officers are doing. He uses every legal means to avoid giving out information. "You probably don't want wind turbines in unique and pristine places"
HOW WOULD SHERMAN LOOK WITH TURBINES? until township officers are replaced. 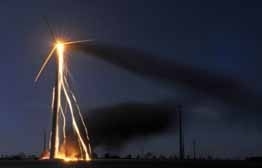 most thorough investigation of wind power to date. A group of researchers did a systematic search for medical, scientific articles on wind turbines and "human distress," which means Wind Turbine Syndrome, hated shadow flicker, noise annoyance, sleeplessness, etc. All the research was "peer reviewed," which means other scientists tried to find something wrong with it before it accepted for publication in scientific journals. This is rigorous research--not something somebody pulled off the internet. The researchers identified 154 studies and concluded that: "In this review, we have demonstrated the presence of reasonable evidence (Level Four and Five) that an association exists between wind turbines and distress in humans. The existence of a dose-response relationship (between distance from wind turbines and distress) and the consistency of association across studies found in the scientific literature argues for the credibility of this association." The researchers found "human distress" even when people made money from turbines: "People in the studies who benefited economically from wind turbines had a decreased risk of distress but not a complete elimination of distress. Furthermore, the fact that the level of distress could be altered with financial compensation only speaks to the existence of distress. bird kills around turbines will affect your profits.